Laurencekirk Business Club said goodbye to its longest serving member tonight, Janet Buxton. Janet, who has been pharmacist at Michies the Chemist for almost 36 years, retires in a couple of weeks. Club chairperson Linda Farquharson presented Janet with a necklace and flowers at the club’s barbecue tonight. Janet was an original member of Business club when it started in the 1990s, and when it closed then restarted, became a stalwart of the club in its present form. She will always be an honorary member of the club! Janet and her husband are looking forward to taking trips around the British Isles after her retirement, and Business Club wishes them the very best for the future. 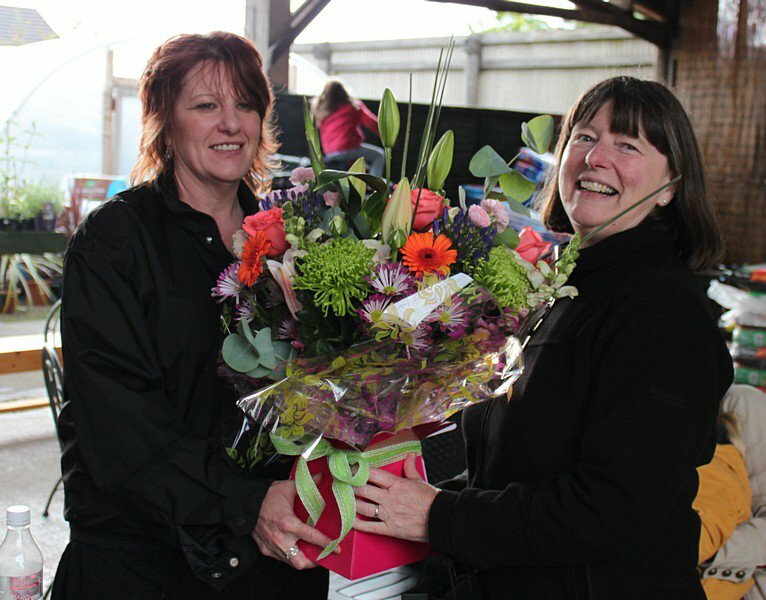 Linda Farquharson (left) presents Janet with her farewell gifts.